Social media app usage or daily time spent has increased by 33% between 2012 and 2017. The number of users globally active on social media has reached up to 2 billion, according to Statista. 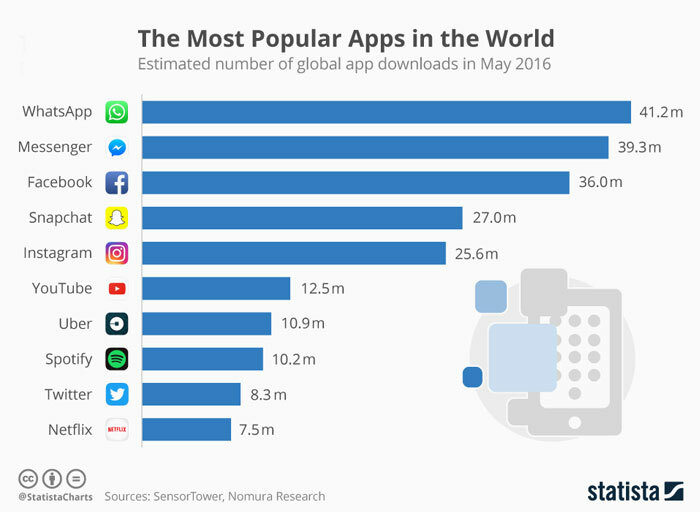 The popularity of social media apps can be understood from the infographic below. So thinking to get a mobile app of your own built? Wondering how much it costs? Where to approach? Here is brief insight on the same. Continue reading. Social media app development cost? The formula is quite simple as we used to calculate the distance by multiplying speed and time. So, here the distance is cost. So, if we are able to figure out the development time, we can predict the cost of the app. A sensible way to approach this question is to take note of the popular social media apps and create a breakdown of their features and tools. Thereafter, we will estimate how much a social media app developer would take to code and integrate these features or tools. 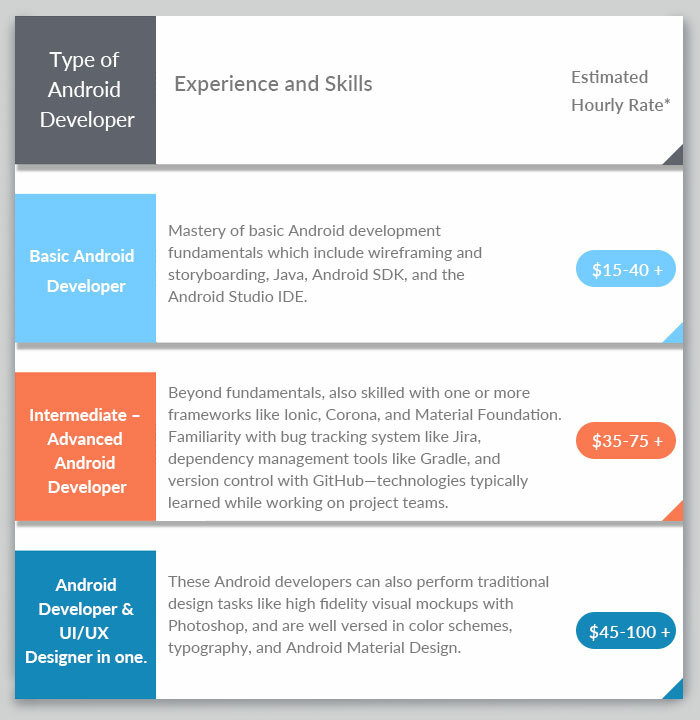 We'll do a cumulative sum of the hours required to create those features and then multiply that by the hourly rate of the mobile app developer. 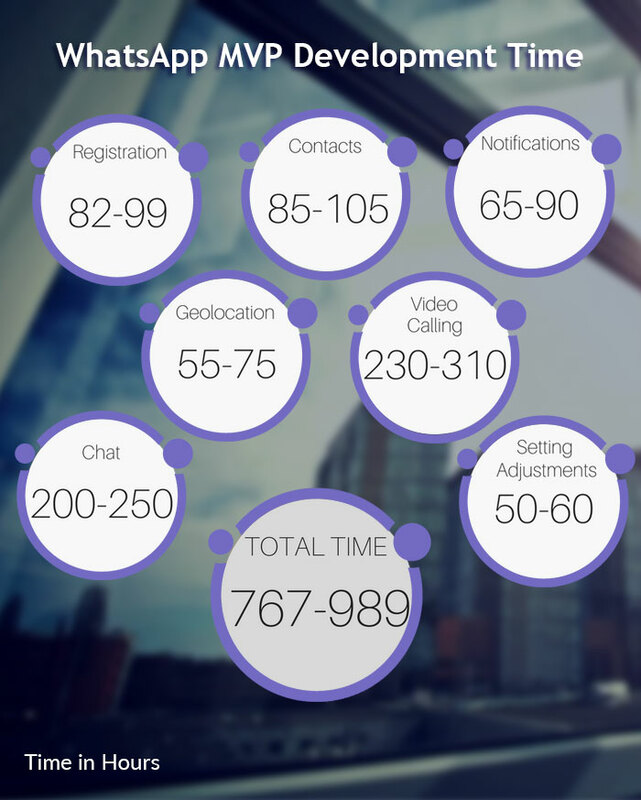 Users spend 41.2 minutes on this real-time messaging app. Note: The setting adjustments may vary depending on the content of the "Settings" menu. This estimation includes profile settings, account settings, chat settings, notifications settings, and data usage settings. Based on the hourly-rate table, here is what we can estimate. You can see a huge difference between the two situations. 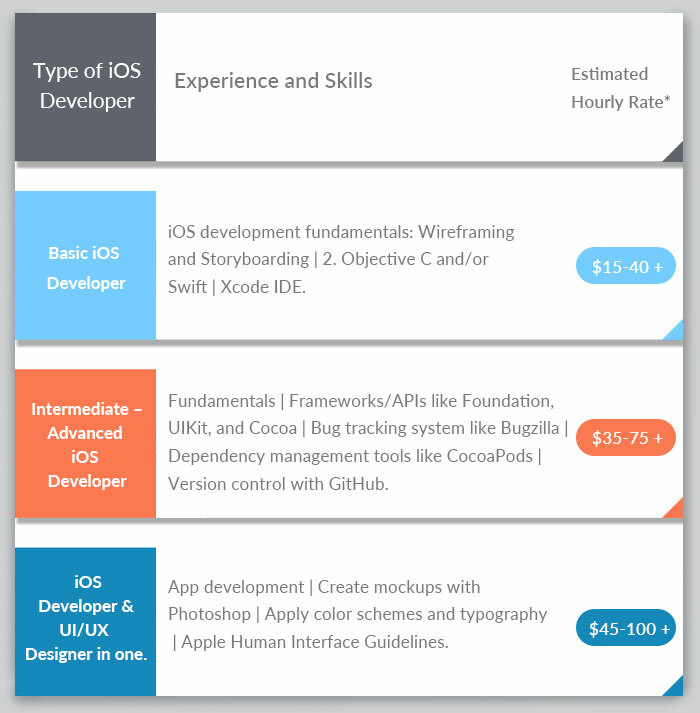 However, when you hire an iOS developer with fundamental skills or intermediate skills, you can't expect from him/her UI-UX design skills. Hence, in such a situation, you also need to hire an UI-UX designer. Their hourly-rate can be between $10 to $85 as per Upwork. It may take an average time of 40 to 50 hours. So, the budget of app creation would increase by $400 to $4250. Adding the UI-UX design cost to the development charge estimated above, we get $11, 905 as the minimum budget, and $15, 755 as the maximum budget. 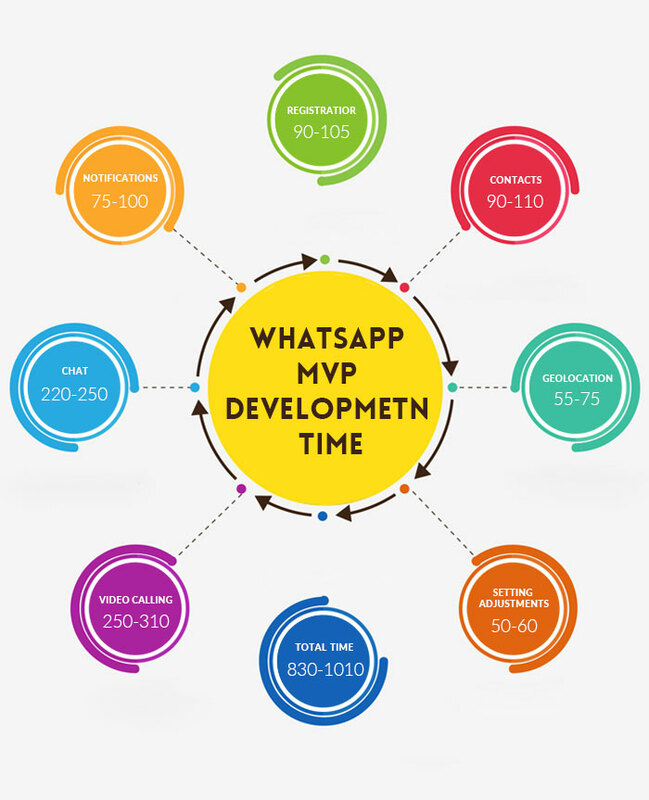 However, when you are eying for an app that has the charm and capability of WhatsApp, you need to get it built by an experienced team. Again, we can see a huge gap between content published here is just for marketing purpose to give website users a rough idea on the technology budget, it doesn’t claim that Root Info Solutions copies, clones, modifies, alters any existing codes, or performs a reverse-engineering to create such an app. 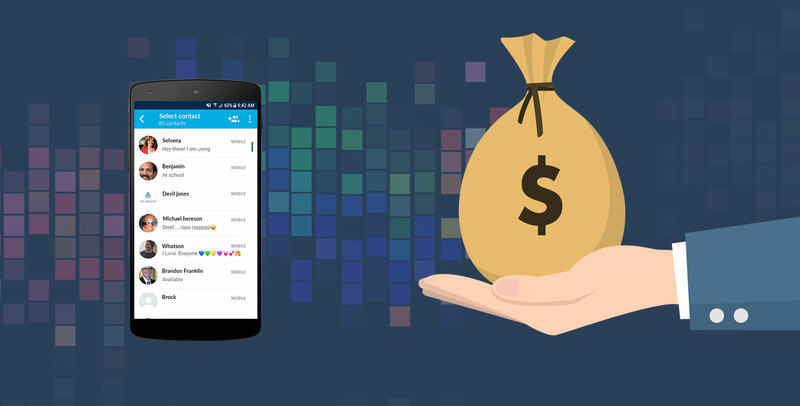 We create app from scratch based on the idea and requirements of our clients. en the two cost - first developed by the amateur developer and second built by an experienced one with a sound knowledge of UI-UX designing. Disclaimer: The content published here is just for marketing purpose to give website users a rough idea on the technology budget, it doesn’t claim that Root Info Solutions copies, clones, modifies, alters any existing codes, or performs a reverse-engineering to create such an app. We create app from scratch based on the idea and requirements of our clients.